If you are a Property Manager looking for a reliable sign company you can count on to design, fabricate, install and service signs at all your locations, look no further than Dave’s Signs. Whether you need small signs like ADA signs, no smoking signs, parking signs, tenant signs, and address numbers; or large signs like monument signs, business directories, and way-finding signs. We will consult with you during the planning and design phases. We’ll help you figure out what you need. Then come up with sign solutions and packages for all your properties. One of the many benefits of working with us is the quality of our sign design. Check out our sign galleries, and you will see the range of possibilities. We can make your location stand out and provide a great experience for your tenets and their customers. And, as you know, beautiful uniform signage increases desire and adds value to rents. Competitive pricing with a reputation of prompt, courteous and professional service. You can count on us – We’ll be here for you throughout the whole process, including service calls. 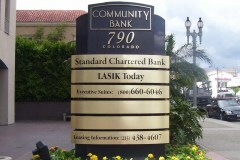 We offer sign design, fabrication, installation, and service. Get everything done right from one source. 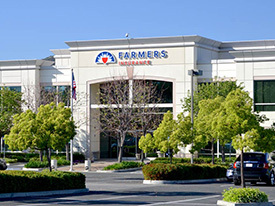 We can handle all your sign needs for your properties even if you have multiple locations throughout California. We’ll deal with the permits and codes. We are familiar with all the city requirements including ADA signage rules. We can handle issues if they come up without you being involved. If the design has to pass the HOA and tenant approval process. No problem, we will work with you on changes that may come up. We specialize in all sign types so if you have an idea or particular need, let us know. We’ll make it happen. To get in touch, call us at (805) 232-3865 or reach out to us online.